Imagine have a solar panel that functions all seasons! We all aware of solar energy produced by sunlight, but have you ever imagined generating electricity through rain droplets. Yes, you read it right, scientists in its genuinely remarkable feat of innovation have comprehended how to create hybrid solar cells that generate power not just from sunlight but also from raindrops. 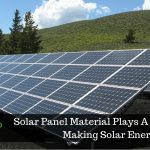 Which means we will soon see the all-weather solar panels racking system that would not only work when it is cloudy but also at night if it is raining. 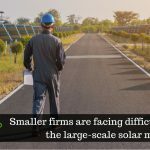 In recent years, the installation of the solar power system is globally soaring high, breaking its record for the cheapest electricity ever, anywhere by any technology in many parts of the world. However, researchers are working to squeeze even more heat from solar panel as the power output can plunge under grey skies. Much of this innovation is coming from the world leader – China which is a forerunner in deployment and manufacturing of solar energy. To generate solar power from the light that hits the foundation the country has developed double-sided solar panels, which can enable 10 per cent boost in output. Especially in the area that is painted white or the panels placed on a roof to capture the sun rays. By 2025, these solar panel are projected to obtain a remarkable 40 per cent share, as per Bloomberg New Energy Finance. At Soochow University laboratory in China, this new device was demonstrated placing two transparent polymer layers on top of a solar photovoltaic (PV) cell. This device works when rain droplets fall on to the layers and then roll off the friction generates a static electricity charge. For converting mechanical energy motion to electricity, the device uses Triboelectric Nanogenerators (Tengs), where the solar cells harvest power right from the fall of raindrops on them. Right from typing to walking, the potential applications of TENG includes generating solar power. According to Soochow’s Baoquan Sun, it becomes a lightweight device due to its unique device design. Furthermore, within three to five years, the field is expected to produce a prototype product due to its quick developing. According to the sources, this idea seems to be very interesting as without destroying the output of the solar cell during sunny times a hybrid device harvests kinetic energy from water. 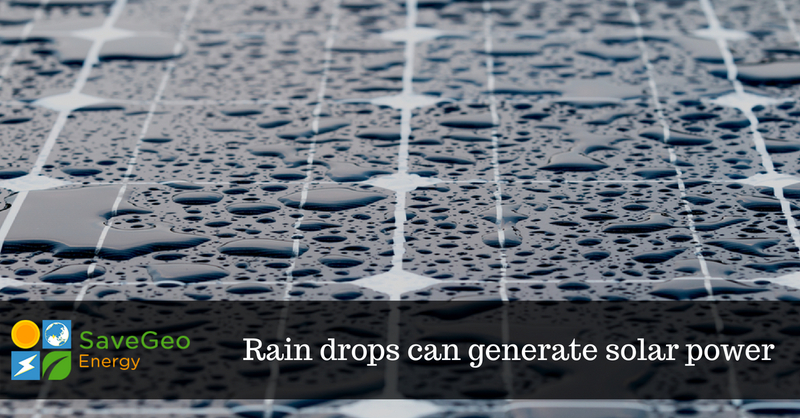 However, with the fall of raindrops, the solar power system generated from the device needs to be significantly higher to start making an overall difference to a solar panel’s output. 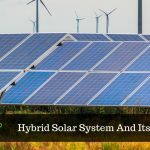 SaveGeo with its team of experts provides reliable, independent and cost-effective hybrid solutions with low solar operation and maintenance costs.